As we stay overnight in small communities, I notice contributions made to them by mining and energy companies. For example, a large sign on the fence of the school in St Lawrence declares it to be a Reef Guardian School sponsored by Ergon Energy and Dalrymple Bay Coal Terminal. On closer inspection it becomes clear that the school is not directly funded by the companies, but the “School Chaplaincy in our Community” is the beneficiary. A situation to ponder while walking. In Ogmore, we were told that Clive Palmer has purchased a very large property nearby. He plans to first take out the CSG, then the coal. He was approached by the locals and has promised to make a substantial contribution to an improved community hall. Last night, we stayed in the Bajool School of Arts. It sits sandwiched between the Bruce Highway and the railway line. Loaded coal trains of around 100 wagons are frequently travelling towards Gladstone, then return empty and even more noisily to the coal mines. 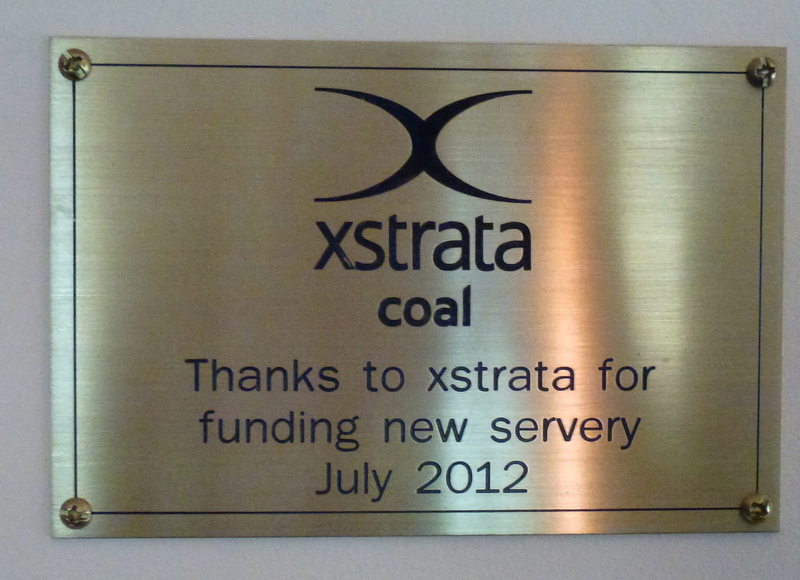 A plaque tells us that Xstrata coal has funded the new servery in 2012. A mock-up cheque from Santos for $20,000 is displayed on the kitchen bench. I have often heard that Indigenous communities have to rely on the big companies to fund their essential services. Here I learn that Queensland’s smaller settlements are also depending on them for community halls and parts of the educational services. I wonder if there are any strings attached. Be out of action June & Co as I’m having Rotator Cuff surgery and might not be able to type. anyway, I’ll still read but probably won’t comment for a while. Always thinking of you fantastic people.